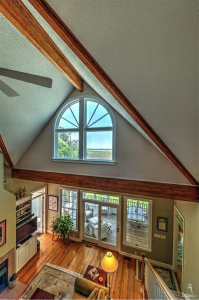 If you’re searching for a home in Southport, NC, then look no further! 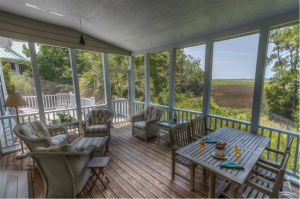 Coastal Realty Connections, an experienced real estate firm specializing in coastal North Carolina properties, has just the home you’ve been waiting for. We are in love with this beautiful home at 5952 Dutchman Creek Road, and we’d like to take a moment to share a few of its finest features with you all. 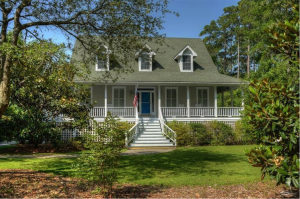 Located in the waterfront Indigo Plantation & Marina community, this home is chocked full of southern, coastal charm. It features panoramic views of Dutchman Creek, and a spacious, private lot with mature landscaping. 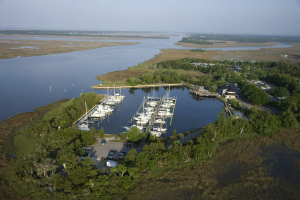 The two-acre marina provides access to the Intracoastal Waterway and the Gulf Stream. The community also offers a clubhouse, pool, tennis courts and other amenities for homeowners in the area. This home features carpet, ceramic tile and hardwood floors, with the living and dining areas, kitchen and master suite situated on the first floor. (The spacious master bath is to die for—complete with a double vanity, whirlpool tub and glass shower!) The upper floor boasts two bedrooms, one bathroom and a study area with ample storage. There is also a basement, for more storage, as well as a recreational room. The living area is the perfect gathering place for family and friends, featuring a cathedral ceiling, fireplace with gas logs and spectacular water views through the french doors and large windows. This property’s new homeowners will enjoy a large, fenced-in backyard—perfect for ensuring children and pets are always close by! From the first floor of the home, you can step out onto to an open deck, spacious screened-in porch and a relaxing sunroom! It’s the perfect place to sit back and enjoy beautiful marsh views over coffee in the morning. Check out the full listing to learn more about 5952 Dutchman Creek Road. And if you’re interested in exploring this fantastic property in person, contact Coastal Realty Connections to schedule a showing!